LIMITED EDITION OF 750 COPIES ON BLACK/CLEAR VINYL! It’s a brand NEW Lurkers single. The Lurkers formed late in 1976, the original lineup consisting of Pete Stride on Guitar, Pete ‘’Manic Esso’ Haynes’ on Drums, Nigel Moore on Bass and Howard Wall on Vocals. In the 2010’s, Esso, Stride and Moore have been collaborating again under the name of The Lurkers : God’s Lonely Men and released a album in 2012 entitled Chemical Landslide which contained tracks considered a lot heavier than anything they had previously recorded under the Lurkers name. In 2016 they released a further album ‘The Future’s Calling’ and then collaborated on follow-up material with The Featherz’ lead singer Danie Centric. The first fruits of the collaboration with Danie was the ‘High Velocity‘ EP, was released in late 2017 as a limited edition pink vinyl 7” on Human Punk/Damaged Goods. 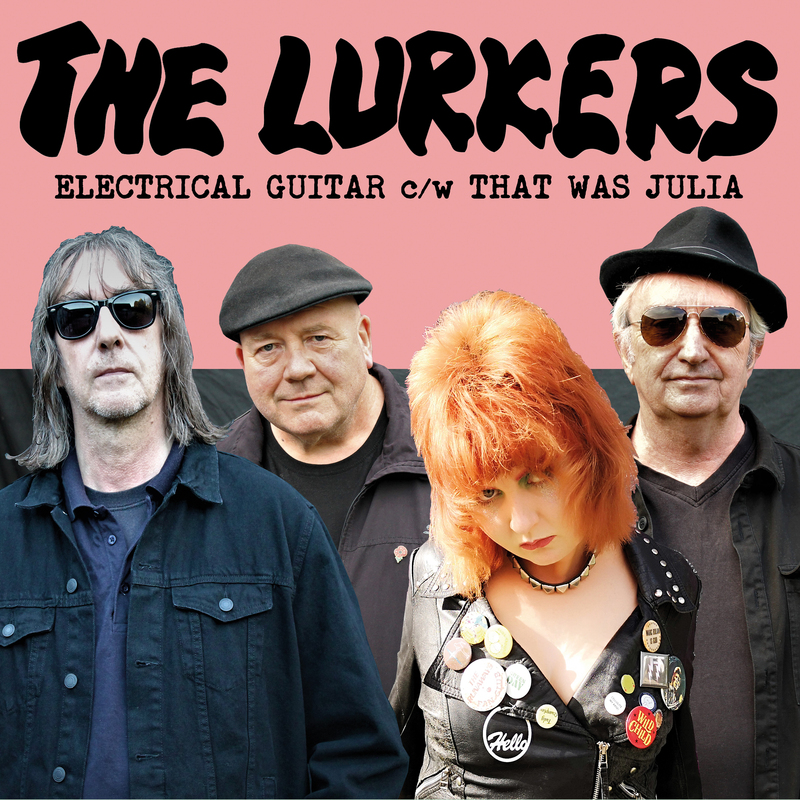 The Lurkers have since been recording more new material with Pete Stride and guest vocalist Danie Centric sharing lead vocal duties, the first fruits of which being this brand new 7”, limited to 750 copies on split black / clear vinyl. ‘Electrical Guitar’ started out as being slightly tongue in cheek, but I came to realise that it can also be seen as a direct statement of belief in the essence of rock ‘n’ roll – 4 beats to a bar, electrical guitar, sometimes that’s all you need! There’s talk of a new full album later in 2019 too, keep ’em peeled!